Edward BROWN (1574 – 1610) was Alex’s 11th Great Grandfather; one of 2,048 in this generation of the Miller line. Edward Brown was not born 9 Sep 1586 in Inkberrow Parish, Worcestershire, England because he would have been too young to be married in 1599. 1574 is a better bet. Edward married Jane LEIDS about 1599 in Inkberrow, Inkberrow, Worcs, England. Edward died after 1610 in Inkberrow, Worcs., England. Jane Leids was born in 1578 in Inkberrow, Parish, Worcestershire, England and was christened in Igi, 17, 17. Her parents were Thomas LIDE and Jane GIBBS. She died after 1610 in Inkberrow, Worcestershire, England. Inkberrow, Worcester, England 5 Apr 1673? Looks like Jane Leids 1578-1610 and Elizabeth Leids 1604-1674 were sisters, daughters of Thomas Leids 1546-1609 and Jane Grubbs/Gibbs 1550-1604. Inkerburrow, England. Jane Leids married Edward Brown 1586-1610. Their son, Nicholas Brown 1601-1694, may very well have married his mother’s much younger sister, Elizabeth. This makes Thomas Leids 1546-1609 and Jane Grubbs/Gibbs 1550-1604, Alex’s 13th and 14th great grandparents. Anne’s first husband Thomas Hutchinson was born 1595 in Inkberrow, Worcester, England. Thomas died 1631 in Charlestown, Suffolk, Mass very shortly after his arrival in America. 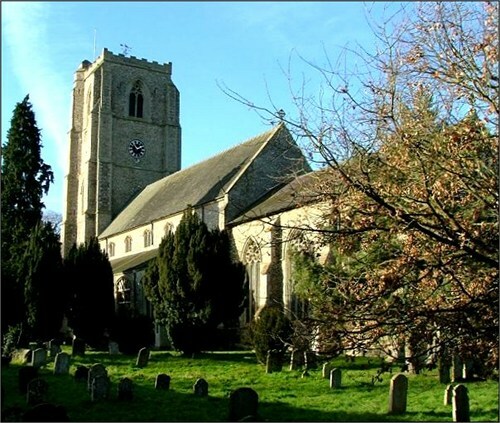 Anne’s second husband Adam Hawkes was baptized 26 Jan 1605/06 at St. Andrews Church, in Hingham, Norfolk, England. His parents were John Hawkes and [__?__]. Adam died 13 Mar 1672 in Lynn, Essex, Mass. Adam was the first infant to be baptized by the newly installed Rector, Rev. Robert PECK. The ancient baptismal font is no longer in use but in the church one can still see “a wooden ball”, the only remnant of an ancient Font cover. The church is one of great antiquity. It is known that Remigius de Hethersette, Rector from 1316 to 1359 was responsible for its construction. The tower stands 120 feet high. The glass in the east window is medieval but was not installed until the 19th century. There are eight bells in the tower, the oldest of which was cast in 1450. Hingham was a small town of ancient origin located 97 miles northeast of London, in Norfolk county in a part of England formerly known as East Anglia. It lies about 14 miles west of Norwich, now the capital of Norfolk. It was an agricultural community during Adam’s time, with lush fields and its own market place. Yet it had a small population. In the early centuries the area of Norfolk and neighboring Suffolk experienced invasion by Viking Norsemen, and in 1066 was invaded by William the Conqueror. Over the centuries there was much change in the ethnic makeup of the area. During the 16th century, in Elizabethan times, many Heguenots and Walloons came across the North Sea to East Anglia. All of these changes probably played a part in Adam’s decision to leave that country for America. Adam Hawkes came to America with the Winthrop Fleet in 1630, perhaps on the ship Arbella. Originally there were to have been eight ships sailing together from England. The Arbella was the first to cast off at 10:00 AM on March 29. It sailed to Yarmouth and waited for the other seven. Only three showed up, so the fleet, consisting of four ships, left the next morning for America. These ships were built to carry cargo, not passengers, so there were few comforts. They first sighted land, Cape Sable, on June 6. They arrived at Salem on June 12, but continued to explore the area before permanently anchoring on June 29. Adam first settled in Charlestown, Suffolk, MA, trying to eke out an existence with four acres of land. Soon after arriving in this country he had married Ann (Brown) Hutchinson, a widow of Thomas Hutchinson, who had also come with the Winthrop Fleet. She had four sons and a daughter, who grew up in the Hawkes’ household. A child, John, was born but did not survive. In 1633 a smallpox epidemic in the area caused Adam to begin thinking about moving away from the area and its poor health conditions. Finally, on Jan. 10, 1635/36, he sold the land to N. Easton and J. Sibley. It is not known exactly when Adam and Anne left Charlestown for the more ample agricultural acres of Saugus. In 1638, at the time of the first division of land in Lynn, Essex, MA, he received a grant of one hundred acres, and settled in that part of Lynn, now known as North Saugus, on the homestead which has since been in the family. He was a farmer there. Adam chose a rocky knoll for the site of his first home there, later to be known as Close Hill at Hawkes Corner as it had a small field enclosed by a stone wall called a close. A small part of the original home site remains in the ownership of the Adam Hawkes Family Association and a part of the old stone wall still exists. This site although only eight miles from the former home in Charlestown was far up the winding Saugus River with nothing beyond except the wigwams of local indians. Shortly after the house was built, it was totally destroyed by fire. Adam built a second house near the site of the first. A few years later, in 1642, an iron works was built just downstream from his property. A dam was built as a power source, which caused a lot of flooding of Adam ‘s land. In 1688 the Saugus Iron Works went out of business. Eventually the old Iron Works was restored by the American Steel Companies and is now a national historic site. Apparently, Adam never took the freeman’s oath. This is not suprising as only a minority of men in the early Massachusetts Bat Colony did so. He did serve public office however. On Feb. 24, 1657, he was appointed to a committee to lay out land lots in the community. He was also a juror in 1655 and 1659, and in 1660 served on the grand jury, Essex County, where he was the only person referred to as “mister”. Ann was 75 years old when she died Dec. 4, 1669, in Lynn. Adam married, second, Sarah Hooper in June, 1670. She was just 19. She was born Dec. 7, 1650, in that part of Reading which is now Wakefield. She was the oldest living child of 11 born to William and Elizabeth Hooper, a weaver, who had come in the James from London in 1635 at the age of 18. The following year a daughter, Sarah, was born to Adam and Sarah, on Jun. 1, 1671. Less than a year later Adam died at age 67, on Mar. 13, 1671/72. He left an estate valued at over 817 pounds, including 554 acres of land. Sarah married a second time 9 Jan 1672/73, to Samuel Wardwell, son of Thomas and Elizabeth Wardwell. They had six children. Samuel was accused of practicing witchcraft and was executed due to his retracting a “forced” confession. He was hanged on Sep. 22, 1692 at Gallows Hill, along with seven others, and according to tradition the last ever to be hanged for witchcraft in the Massachusetts Bay Colony. Samuel Wardwell was born 16 May 1643 to a modest Quaker family in Boston. He studied carpentry and moved to Andover, Massachusetts in 1672 to find work. There he married his second wife, Sarah Hawkes, a wealthy widow with whom he had seven children. In 1692, he was accused of witchcraft and brought to trial in Salem. The fact he was found guilty is not surprising, as his father Thomas who been a follower of John Wheelwright and Ann Hutchinson. Samuel had dabbled in fortune telling as a young man, had family members who were disliked in Andover, and had married a woman whom many did not think he was worthy of marrying. During his court examination, he confessed to being a witch by submitting a long and detailed story of his indiscretions in order to save his life. His conscience and personal courage led him to recant the story and claim innocence, knowing the risk involved. He was hanged on September 22, 1692. The “state” confiscated his property which left his family destitute. Sara herself was accused of witchcraft. Her minor children were taken from here and placed in custody of friends and relatives. Her oldest daughter and mother-in-law were also accused and acquitted of witchcraft. Eventually she was released. However the impoverished and miserable conditions she endured in a prison dungeon must have contributed to an early death. Samuel’s son, too young at the time, later sued and won some compensation for the family’s ordeals. This entry was posted in 13th Generation, Line - Miller, Violent Death, Witch Trials and tagged Most Popular Surname, Shakespearean Ancestor. Bookmark the permalink. 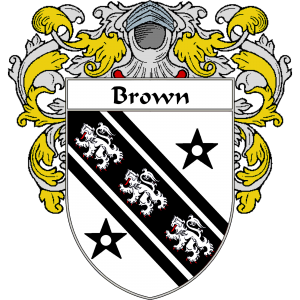 I am researching my families history and have been told that I am a descendent of Edward Brown’s. The line would be from me (Holly Browne) to John Browne, to Charles Conrad Browne, to Charles Clayton Browne, to Charles Minor Browne, to Almiron Brown, to Oliver Brown, to Asa Brown, to Ichabod Brown, to John Brown, to Thomas Browne, to Nicholas Brown, then to Edward.